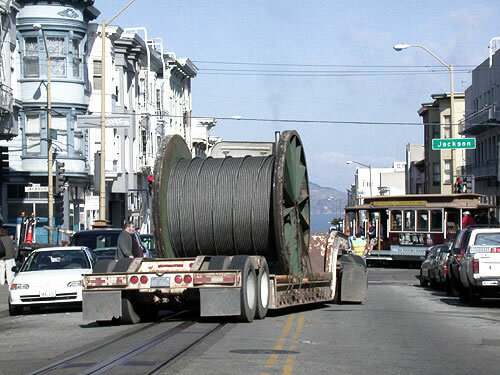 Much of the attraction of San Francisco’s surviving cables cars is due to the antique nature of the cars and the seemingly mysterious method by which they travel up and down the steep hills and grades of the City. Most of that is true of the system itself as well; just how the little cars run has fascinated locals and tourists alike who, like Rudyard Kipling in the 1890s, marvel at cars gliding on their tracks, apparently without any visible means of propulsion. Yet the system is amazing simple in many ways and all the more remarkable in that it has changed little since the first cable car lines appeared in Victorian San Francisco of the late 19th century. Andrew Hallidie is considered the father of the cable car, although he was not the only inventor to dabble in the use of cable as a means of transportation. 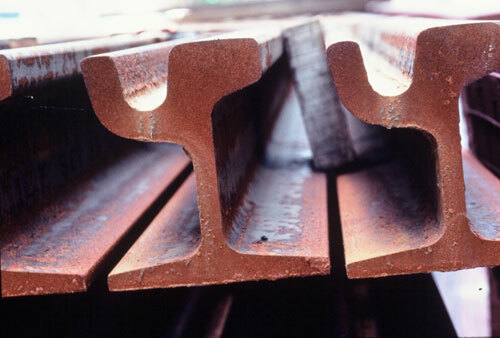 Hallidie and his father both held several patents for the manufacture and use of cable, or wire rope as it was called. Each of the different cable car lines once had its own powerhouse —or sometimes several—to drive the cable used on the line. 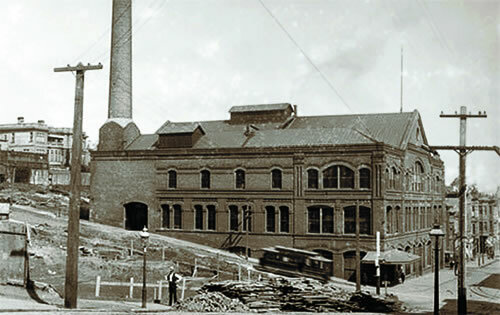 The first power sources were steam engines powered by enormous amounts of coal each day, thus each powerhouse was equipped with boilers to heat the water needed to produce steam. Out on the street along their routes, the cable cars travel on steel tracks set above a channel enclosing the cable. At the top of the channel is a slot through which the cable car’s grip grabs the cable moving below. Cable Cars in San Francisco have gone through a series of evolutionary changes since the first line opened in 1873. These have involved the mechanical equipment and design of the cars themselves, as well as those along the track and in the powerhouses. One of the first changes was made to the grip itself. The cable cars employ a series of mechanisms to assist in braking the car and regulating its speed. The three parts of this system are the wheel brakes, track brakes, and an emergency brake. 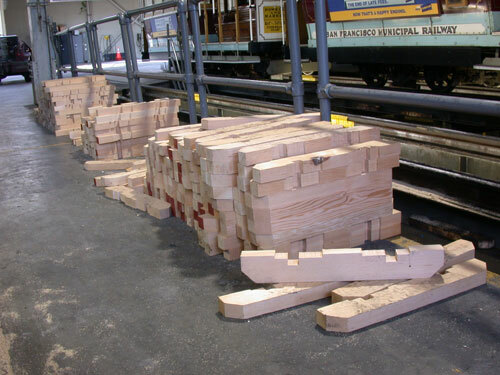 The original cable car line on Clay Street employed a dummy car containing the gripping and braking mechanisms that pulled a passenger trailer.